Due to the lack of Internet access in my current living situation, I have been going through every Pixar movie in order from the original Toy Story to the end of the great trilogy and watching them with their accompanying audio/visual commentary. For me, the commentaries by the directors, producers, and animators behind these revolutionary films made them even more heartfelt and magical to watch again and again. It only took 11 movies for me to notice a few lessons stowed away in these commentaries that could be used in other industries. More specifically, I want to talk about using these Pixarian principles in product design. The first step for almost all Pixar movies is also the last step, figuring out the punchline before writing the joke. For the folks at Pixar this means finding the ultimate lesson that drives the story before starting any basic animation. In product design, this is figuring out what the primary use is for the app, website, or device before any wireframes or sketches are made. As long as the designer stays focused on what the layout, color scheme, and functionality are all working towards, it is a great giant leap towards creating a useful product. For example, if you were designing an iOS mail app called the Pixarian Postal Service then the final goal would be for the user to get their emails in a timely and readable format. No matter what additional features and flare you decide to add later, this should be the focus of any major decision made later to the design. Another key principle to the Pixar filmmaking formula is the ability to take something easily recognizable to the viewer and show a new take on it. Like vehicles and toys coming alive and having fantastical personalities or the monsters in our closets scaring children to power their cities. A bit of fresh perspective is perfect for delighting audiences and keeping their attention. In product design that means taking your product's main function and rethinking how it should be done to delight and interest the user. 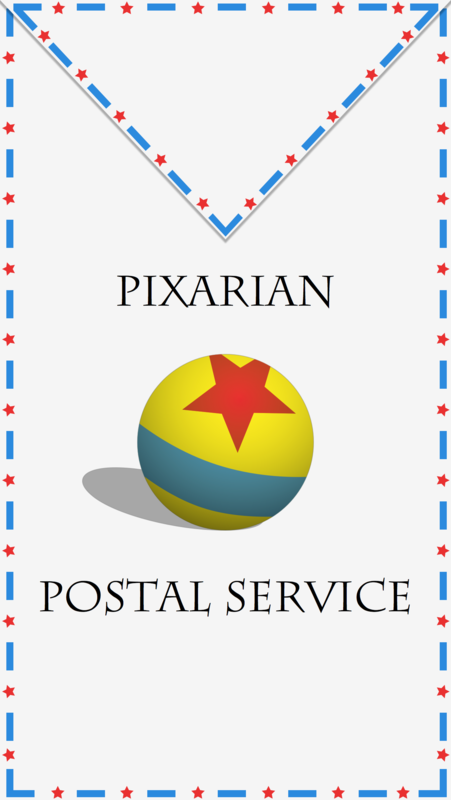 For the Pixarian Postal Service, this idea could be implemented by color coding mail based on a list of friends, family, business associates, subscriptions, etc to give the user the ability to quickly scan through their unread mail. Then making these colors customizable and easy to implement is just icing on the cake. It is literally giving the user a different perspective for their email experience. Pixar is so great at making their characters seem so life-like and realistic, not just by the detail in the drawing but every single movement being so close to something done in reality. A great lesson to be learned from the animators of Pixar's many famous films is making a character act relatable by using personal experience as inspiration. The universally applicable version of that statement is using personal experience to create a personable experience for the user/viewer. A product designer and their team should draw inspiration for their designs from their experience using other products like it, which is usually what inspires them to make a better one. When coming up with features, layout, and functionality for the Pixarian Postal Service app, you should remember the gripes and groans you make whenever you had to use the iOS Mail app, Google's GMail for iOS app, or even Sparrow. Keeping that in mind should lead you to focus on having push notifications at launch and enough available space on your servers so the rush of initial downloads don't crash them. Also, if you don't see yourself using the feature then why ask your users to do the same? Now probably my favorite part about the Disney/Pixar franchise is their ability to mix fantasy with mundane realities. For example during The Incredibles, the family has just landed an RV on the freeway after falling from a speeding jet and yet, Mr. Incredible and his wife are still arguing about which exit they should take to intercept the giant robot reeking havoc in the downtown area. A fantastical family of superheroes is going to save the day and they still argue about driving direction because they are still a normal family at the core. Product designers shouldn't be afraid to add a little pixie dust to their designs, as another way to delight their users. In our mobile mail app, this could be adding some nice sound bytes when a user checks their mail and a new letter has just rolled in, like "There's some mail in my box!" (to the tune of "There's a snake in my boot!") and if you can get Tom Hanks to do the voice, that's even better. If a user didn't care for this bit of sparkle in the app, which is highly unlikely, then it should also be easy enough to turn off. Finally, Pixar has been able to astound so many audiences of all ages by their stories and characters and animation because of something they probably learned from one of their founders, Steve Jobs. He was famous for his attention to detail in hardware and software, making sure even the circuit boards were clean and precise when a majority of customers would probably never see it. This is reflected in all of Pixar's films, you just have to pay close attention to the backgrounds in each movie. The drawings in Andy's bedroom during the Toy Story trilogy are usually done by some of the staff's kids who are the same age as Andy and other animated children during those movies to give it authenticity, down to Andy's name signed on the bottom of his toys. Every single piece of memorabilia in Mr. Incredible's home office and all of Carl and Ellie's knick knacks in their flying house were designed with care by the amazing team at Pixar. One of the directors calls this - "sanding the underside of the drawers". As a product designer, it can be easy to save the boring stuff for last and not put as much effort into it; sometimes that means an ugly settings menu or a confusing FAQ section. For the Pixarian Postal Service, you would want your users to love every bit of the design even if they never venture into some of the more in-depth parts of it. Eventually someone will find these shady and dirty bits of the app, then there is no going back. P.S. The commentaries tend to point out a few Easter eggs the Pixar crew puts in every movie, like A113, the Luxo ball, a clue to their next movie. If you're feeling adventurous in your designs, trying adding a few of your own to catch some of the more interested users by surprise. The folks at Tapbots are particularly good at this.